Washington, DC, August 15, 2017 — Bob Salsberg reports in The Washington Post that the industry that makes medical devices from artificial hips to miniature pumps for IV drips is looking for a fallback plan to permanently repeal a widely reviled sales tax that almost met its end in Republicans’ health care legislation. 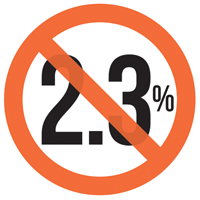 The 2.3 percent medical device excise tax — one of several taxes and fees in the Affordable Care Act that pay for expanded insurance coverage — has been the subject of ferocious lobbying by manufacturers seeking its permanent death. Washington, DC, August 10, 2017 — Peter Sullivan reports in The Hill that the Advanced Medical Technology Association (AdvaMed) is launching a new advertising campaign to push lawmakers to repeal Obamacare’s tax on medical devices. Washington, DC, December 12, 2016 — Reuters reports that when Donald Trump takes over as president on January 20, one of the first business tax breaks he delivers is likely to go to the U.S. medical device industry. Trump and U.S. lawmakers are likely to repeal the tax permanently, according to lawmakers, lobbyists and industry executives. New Brunswick, NJ, December 18, 2015 — The HealthCare Institute of New Jersey (HINJ) congratulates Congress on the passage of legislation that includes several key provisions that will strengthen medical innovation in the United States. Washington, DC, December 16, 2015 ― The Advanced Medical Technology Association (AdvaMed), the Medical Imaging & Technology Alliance (MITA) and the Medical Device Manufacturers Association (MDMA) today commended Congress for including suspension of the medical device excise tax in year-end legislation and urged its swift passage. 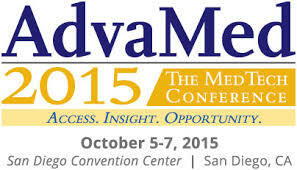 San Diego, CA, October 5, 2015 ― Advanced Medical Technology Association (AdvaMed) Board Chairman Vincent A. Forlenza, chairman, CEO and president BD, and Stephen J. Ubl, president and CEO of AdvaMed today kicked-off AdvaMed 2015 in San Diego, California. Washington, DC, June 19, 2015 ― The New York Times reported that the U.S. House of Representatives defied a White House veto threat and voted Thursday to abolish a tax on medical device makers as a group of Democrats uncharacteristically joined Republicans in moving to kill part of President Obama’s health care law. Thursday’s 280-140 House vote was exactly the two-thirds margin that supporters would need to override a presidential veto. 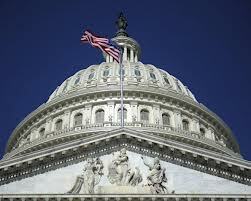 Washington, DC, June 3, 2015 ― The Washington Post reports that the House Ways and Means Committee voted Tuesday — with a mostly party-line 25-14 vote—to repeal a 2.3 percent tax on many medical devices that helps pay for President Barack Obama’s health care overhaul. The tax took effect in January 2013.